Chinese State Councilor and Foreign Minister Wang Yi urged Mongolia to speed up the free trade agreement talks when he was meeting Mongolian President Khaltmaa Battulga on Thursday. Wang said the two countries should expedite the talks on the signing of a free trade agreement, so as to bring substantial benefits to both peoples. Chinese Premier Li Keqiang made the call when he was hosting Mongolian Prime Minister Ukhnaa Khurelsukh in Beijing in April. Li said China and Mongolia should begin research into a free trade agreement and speed up the launch of a cross-border cooperation zone in a bid to make use of the two countries’ complementary advantages. The bilateral trade volume reached 6.7 billion US dollars in 2017, accounting for 63 percent of Mongolia’s total trade. The two countries have set a 10-billion-US-dollar target for 2020. Wang is currently on a three-day visit to Mongolia. He praised the bilateral ties, saying China and Mongolia are close neighbors linked by mountains and rivers. Next year marks the 70th anniversary of the establishment of diplomatic relations, and China is willing to take the opportunity to lay out a new blueprint for the future development of bilateral ties, Wang said. Battulga echoed Wang’s calls. 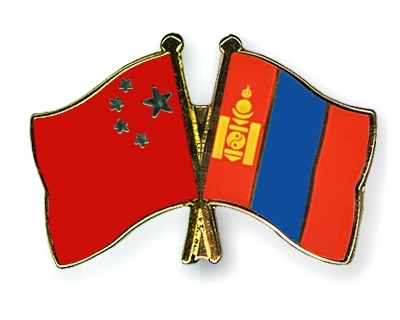 The president said Mongolia always regards the bilateral ties as diplomatic priority. Mongolia hopes to strengthen collaboration in such fields as agriculture, animal husbandry, economy and trade, tourism, and infrastructure construction, so as to bring benefits to both peoples, Battulga said. Regarding China’s proposed Belt and Road Initiative, Wang Yi applauded Mongolia’s active participation and called on efforts to deepen collaboration under the framework. China is ready to strengthen interconnection and mutual trust with Mongolia within the framework of the Belt and Road Initiative, improve both peoples’ livelihood, boost people-to-people exchanges, and continuously promote the cooperation between China, Mongolia and Russia, Wang said. Wang stressed the Belt and Road Initiative emphasizes public goods that China wants to provide to people all over the world. It is neither China’s Marshall Plan nor a geopolitical instrument, Wang told reporters at a joint press conference with his Mongolian counterpart Damdin Tsogtbaatar. The Belt and Road Initiative is always based on mutual benefits and trust, transparency and green growth, and the framework abides by international rules and laws in different countries, Wang stressed. Landlocked Mongolia has also been using China’s transport network as well as its commodities exchanges in order to gain access to foreign markets. In March, the two countries started another freight trade service linking Caofeidian port in north China’s Hebei Province and Mongolia’s capital city Ulan Bator. The two sides also signed a strategic cooperation agreement to promote the China-Mongolia-Russia economic corridor.